Manitoba Hydro has once again rescinded a payout to communities affected by the building of a controversial transmission line due to a change of heart by the provincial government. Manitoba Hydro has once again cancelled a planned payout — this time to the communities a controversial transmission line will run through — after a change in policy from the provincial government. 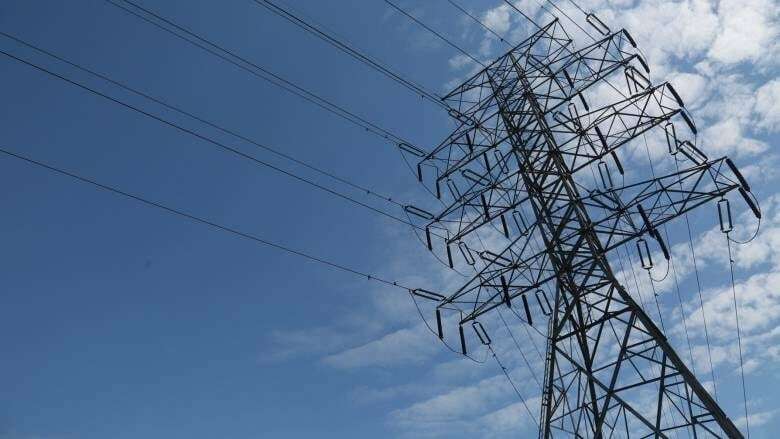 The Crown corporation has backed out of an approximately $4.2-million compensation package for six southeastern Manitoba municipalities in connection with a transmission line that will carry power from Manitoba to Minnesota. "They say it's a provincial policy change and we have no say in it," said David Kiansky, reeve of the rural municipality of Stuartburn, on learning of Hydro's rationale last month. Last year, the Progressive Conservative government quashed Hydro's $67.5 million payment to the Manitoba Metis Federation, intended to garner their support for hydroelectricity projects. Premier Brian Pallister referred to the agreement as "persuasion money." Months later, the province scrapped the $20-million Turning the Page agreement between the MMF, Hydro and the province. With respect to the latest cancellation, Crown Services Minister Colleen Mayer said the government offered a "clear directive to Manitoba Hydro" that it should not reimburse municipalities when there are no adverse effects, such as health and safety risks. "Under the previous NDP government such benefit agreements were handed out without any verification of real impacts," she said in a statement. "That's no longer acceptable." Hydro's withdrawal is disappointing to officials from several municipalities, who were counting on funding to better their communities. 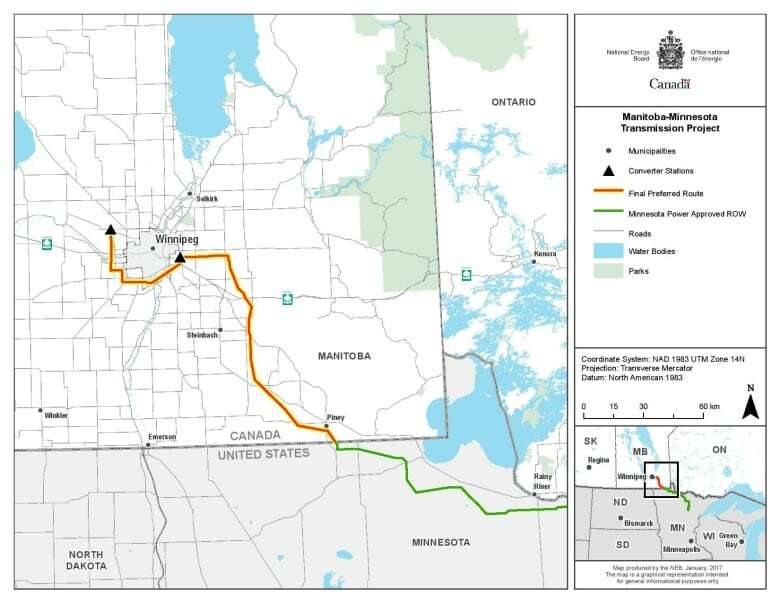 Manitoba Hydro said last week the grant was contingent on the municipalities agreeing to support the placement of the controversial Manitoba-Minnesota Transmission Project line. The project will provide the final link in a chain bringing hydroelectricity from generating stations in northern Manitoba, through the Bipole III transmission line and across the U.S. border as part of a deal with the Green Bay-based Wisconsin Public Service. The line is already under construction in the United States. All told, it's expected to cost roughly $453 million and increase the province's electricity export capacity to 3,185 megawatts from 2,300 megawatts. It was criticized by many landowners who thought the line should be moved farther east toward less-populated areas. "We knew that we couldn't stop this line from coming into the RM of Piney, but can we leave a positive return on having this line?" deputy reeve Mélanie Parent remembers thinking. "I think it was an opportunity for Manitoba Hydro to leave a positive impact in this RM." After hearing of a compensation package for communities affected by the now-completed Bipole III transmission line, Parent said her municipality asked Hydro a few years ago for a similar program to placate resident concerns about the Manitoba-Minnesota line, and to support affected communities in the long run. The RM of Piney was planning to create a foundation that would offer scholarships and bursaries to youth, among other initiatives, as part of its $800,000 payment, Parent said. "It would have long-lasting benefits to the individuals here, because these towers are going to be up for not just my generation, but many generations to come," she said. The "provincial government has taken a different position on benefit programs," Hydro said in a statement, and the Crown utility is "aligning itself with the government's position." Spokesperson Bruce Owen added that Manitoba Hydro had the right to walk away because no agreements were ever signed or formally in place. The funding would have been earmarked for community enhancement projects, including projects that promote environment sustainability or provide training, employment, economic development or develop community infrastructure, Owen wrote. Financial incentives from Hydro remain in place for the owners of property the route will go through. Kiansky said the RM of Stuartburn was going to set aside money to encourage year-round use of the arena in Vita, about 95 kilometres southeast of Winnipeg. The other southeastern Manitoba municipalities that would have received money were the RMs of Springfield, Tache, La Broquerie and Ste. Anne. The RM of La Broquerie was among the vocal critics who chastised Manitoba Hydro for not choosing a more easterly route for the Manitoba-Minnesota line. They held community meetings in opposition to the transmission line. Council eventually agreed to cease its opposition once Hydro's funding package — in excess of $900,000 — was proposed, said Reeve Lewis Weiss. He said he always opposed the transmission line, and still does. "I had a lot of people — farmers and residents — that did not want that line here, so I felt like I fought pretty hard against it." Weiss isn't too bothered that a cheque won't be coming the municipality's way, however. "As a resident, I'm not hurt," Weiss said. "I know I'm the one, along with everyone else, who's really paying for these things anyway."